The all-new architecture of the SPI Active - Level 1 Application running on the Promira Serial Platform provides superior performance. With many new embedded features such as integrated voltage level-shifting, advanced message queuing, High-speed USB or Ethernet connectivity to your analysis PC and many more, debugging or programming your SPI system has never been easier or faster. Once you're running the SPI Active - Level 1 Application on your Promira platform you can create your own interface using Total Phase's robust API or select from our no charge GUIs: Control Center Serial or Flash Center to control your SPI data. 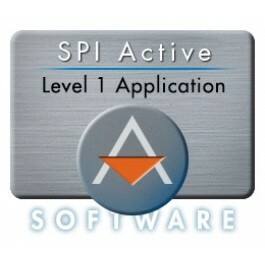 The purchase of your SPI Active - Level 1 Application includes one year of support, allowing you to download any updates for this application for 12 months after purchase. Detailed technical information about the Promira Serial Platform can be found in the User Manual.